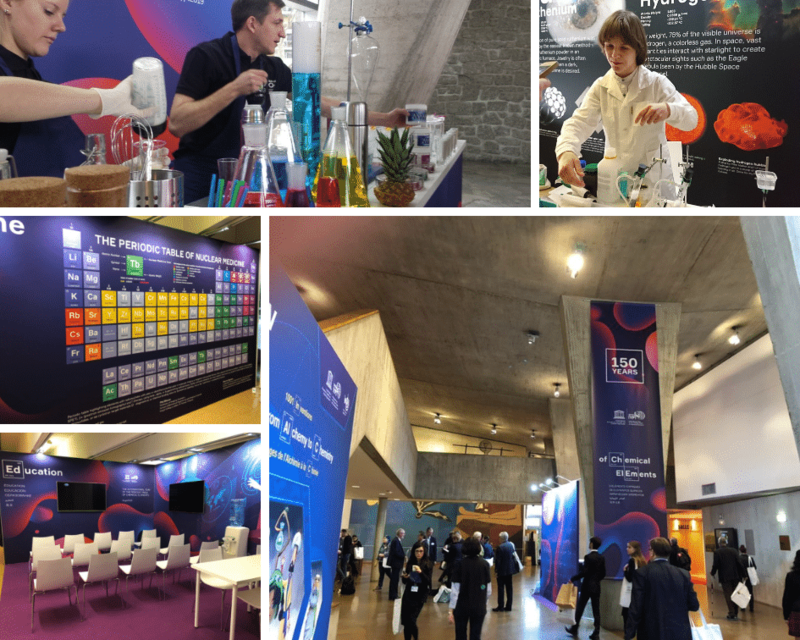 Symbiosis was honoured to be invited to help launch the International Year of the Periodic Table of Chemical Elements (IYPT2019) in UNESCO Paris. The IYPT2019 aims to recognise the importance of the Periodic Table of Chemical Elements as one of the most important and influential achievements in modern science reflecting the essence not only of chemistry, but also of physics, biology and other basic sciences disciplines. The Russian co-organisers contacted us following an excellent referral from our work on the World Potato Congress. The launch was to include an international academic conference and interactive ‘Science for All’ exhibition. 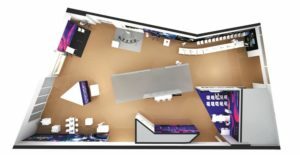 Our brief was to create the event signage, display walls for artwork and memorabilia, a theatre, a fun selfie area, laboratory zone with working experiments and even a chemical cocktail bar. 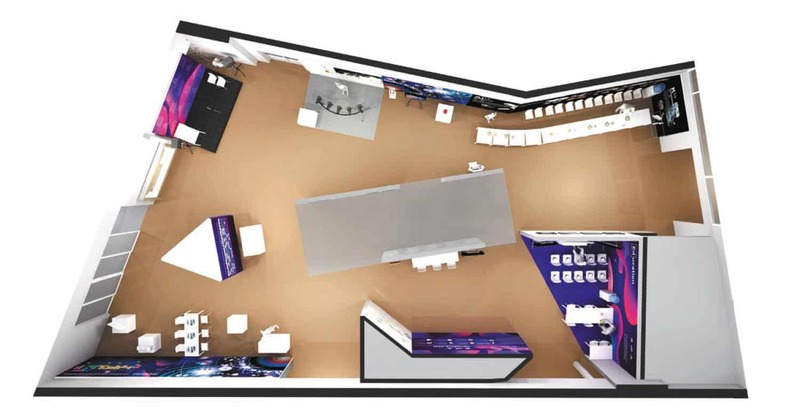 We worked closely with the in-house design team, taking different time zones and extremely tight deadlines in our stride, to deliver an event to be proud of! All structure were created from light weight beMatrix framework to ensure that there was no impact on the walls, floors and ceiling of this important building. Stretch fabric offered seamless graphics throughout, all with eye popping colours that made the most of the amazing artwork. The Symbiosis build team worked solidly through the weekend to ensure everything was ready for the opening on Monday 28 January. Our at-event crew kept everything running smoothly so the very happy client could get on and run the show. Did you find the ideas in the ‘IYPT 2019, UNESCO Paris‘ case study interesting?